Like Crokett and Tubbs in 1984, the 2010 version of Miami Vice (sans guns) will be starring two of the NBA’s finest - Lebron James and Dwayne Wade. Even though I’m a long-time Los Angeles Lakers fan, I’m excited to have another formidable foe in the East. In addition, the NBA must be happy to have Lebron out of the uninspiring Cleveland market. I wasn’t surprised by his decision to take his talent and star power to Miami; I expected it as it was the right choice for a superstar who wanted to maximize his championship opportunities. Could Cleveland, Chicago or New York offer the aforementioned heavy artillery? No way. I won’t even mention the other teams that were interested in James as their chances were slim to none in signing him. Since James was a free agent (could sign with any team), his former team, the Cleveland Cavaliers were in a good position as they could offer him more money than any other team. Although Cleveland was successful during the 7 years they had James, they never did much to add a Tubbs (#2) to his Crockett (#1). I’ve been critical of James in the past as I felt that he could have led his team to at least one NBA championship considering they had the best regular season record in the NBA the past two years. In my opinion, Lebron knew that Cleveland had seen their best days. Both parties were at fault for not winning a championship which meant a breakup was not only the right thing to do but the best thing for everyone involved. After reading what Cleveland owner Dan Gilbert said (“cowardly betrayal” was one) about Lebron’s decision, I’m glad he is no longer a Cavalier. Who would want to work for an owner who maligns a former employee because he exercised the option in his contract to seek employment elsewhere? Lebron was the primary reason the Cleveland organization was successful and the value of the team undoubtedly increased as well. For that, Gilbert should be thankful. In addition, he was a model citizen who propelled the NBA to new heights. Not choosing to sign with the Chicago Bulls was wise as it would have been an uphill battle following the legacy of the greatest basketball player ever, Michael Jordan (MJ). Lebron will never be an MJ and the comparison (by the media and friends) always irritated me as it wasn’t fair to either player. I wrote about Lebron and MJ on my sports blog earlier this year which you can read at the link below. Having worked at Madison Square Garden (MSG) in the 1990’s, I would have enjoyed watching Lebron perform on the the stage of “The World’s Most Famous Arena”. With the incompetent basketball leadership over the past decade at MSG, everyone knew that Lebron would never want to be a part of the underwhelming (I’m being nice) NY Knicks organization. In 2001, James Dolan (current Chairman of MSG and Cablevision) was instrumental in pushing out Dave Checketts, who had done a very good job during his tenure as President of the New York Knicks, followed by his promotion to the top spot at MSG. The statements regarding Checketts resignation were flowery on both sides but most people close to the situation knew the real deal. The Knicks began their Titanic sink after the 1999 NBA Finals (lost to San Antonio) but losing Checketts in 2001 was the beginning of the end. 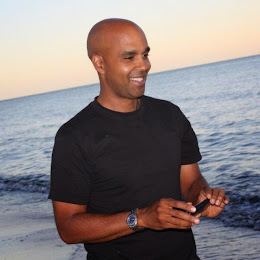 I was an employee during part of Dave’s reign and his leadership skills never failed to impress me. The next seven years for the Knicks were a disaster at best including the hiring of Isiah Thomas, dismal performances, bad drafts and bad trades. The icing on the cake was Dolan’s unwavering support of Thomas when he was charged with sexual harassment, (MSG lost in court and paid millions) a choice that surprised many people including me. Under Dolan’s leadership, if the Knicks had been coherent and even mildly competitive or competent, they would have had a great chance to sign Lebron. They blew it along with the tremendous sparkle they would have enjoyed for a decade. With James, New York City would have been the hottest ticket in sports. -- Didn’t want the Pat Ewing “No Ring” Label - Pat Ewing was a NY Knicks superstar who filled the seats at MSG every night but seemed to never complain or talk to management about getting a quality 2nd player. Translation - No NBA Championship. -- Pat Riley (former coach and current President of the Miami Heat) - He was a collegiate star and quality role player in the NBA. In addition, he won 5 NBA titles as a head coach. I have yet to see an executive (except Dallas owner Mark Cuban) more passionate or intense about winning. It probably didn’t take long for Lebron to figure out that Pat was the best person to help guide him to the next level - An NBA Title. -- Bosh and Wade - Chris Bosh and Dwayne Wade were two of the most sought after free agents other than James. Why not team with them? James indicated that he wanted to have fun and with this dynamic triangle, fun should be ubiquitous. -- City of Miami - Lebron’s appeal, image and sponsors should increase in a sizzling town like Miami. A superstar (like Kobe in LA) of his stature should be in a place that shines. -- Wants to Win the NBA Finals - Lebron probably understands that an NBA Championship is the ultimate measure of success. By the way, it’s an opportunity he took less money to achieve as staying in Cleveland would have paid him the most. Under the wise counsel of Pat Riley, this team could be magnificent. Jeff Van Gundy (former NBA coach and current announcer) said (link below) they are “indefensbile” and will break the NBA’s single season record of 72-10, currently held by the 1996 Chicago Bulls. At the very least, the future of the Miami Heat is very bright! With James and Wade as the catalyst and Bosh as a dynamic third option, I expect this team to fiercely challenge the NBA’s top teams. If injuries stay to a minimum, I believe that they will win 2 NBA Championships and I wouldn’t be surprised if they had a decade similar to my Lakers (2000-2010) with 4 or 5 titles. 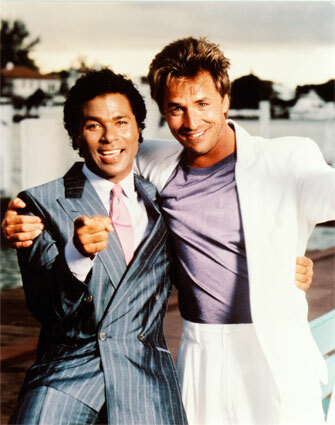 Don Johnson (Crokett) and Phillip Michael Thomas (Tubbs) took fashion to a new level and were the main reason Miami Vice was one of the hippest and coolest shows on TV. The NBA’s New Miami Vice, James and Wade, have some of that same appeal and from the beginning have generated a boat load of PR and buzz along with great expectations. Will there be some growing pains for this team? Probably. But once they begin to gel and find their rhythm, it will be a show that you don’t want o miss - just the like the original series that my college roommate and I never missed on a Friday night. After their first NBA Title, I can envision James and Wade leaping into a sleek motorboat to celebrate (dressed in fancy pastels like Tubbs and Crokett) while heading to the Miami Heat championship party on the water. The TV Series lasted 5 years. Let’s hope the New Miami Vice lasts longer and has just as much impact. As an NBA fan and lover of basketball, I can’t wait. Crockett and Tubbs took care of business yet always seemed to have fun. Will the new "Miami Vice" be as successful?